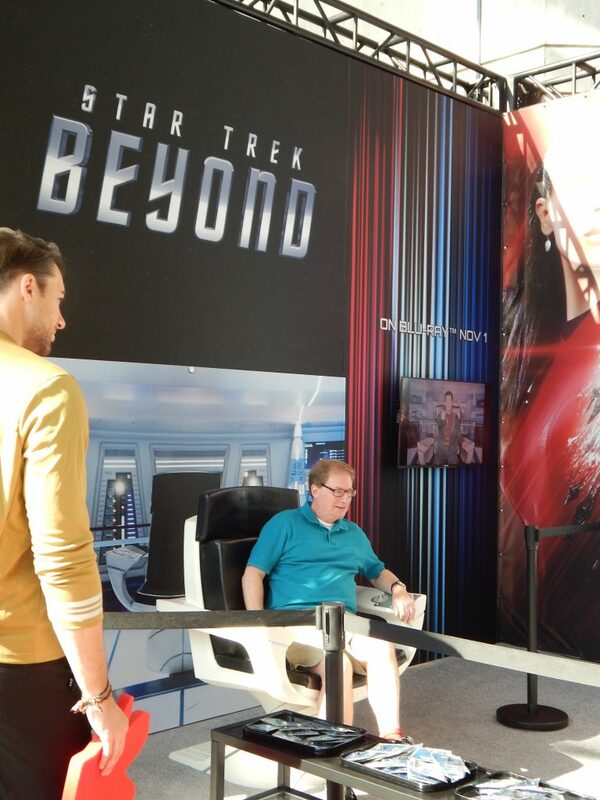 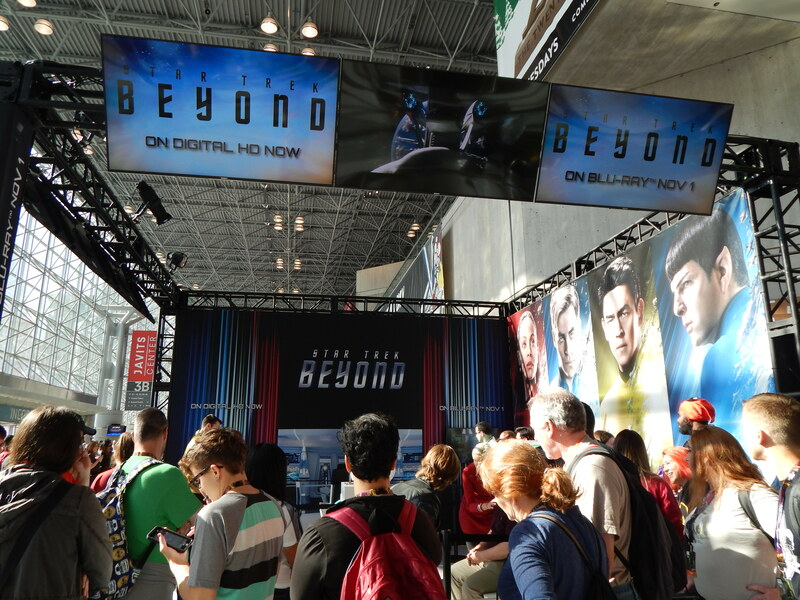 Down on the main concourse of the Javits center of NYCC, one of the hottest experiences is the Star Trek Beyond experiences, where fans can get a shareable digital video of themselves in the captain’s chair and a photo of themselves as the captain on the cover image from the upcoming Blu-ray. 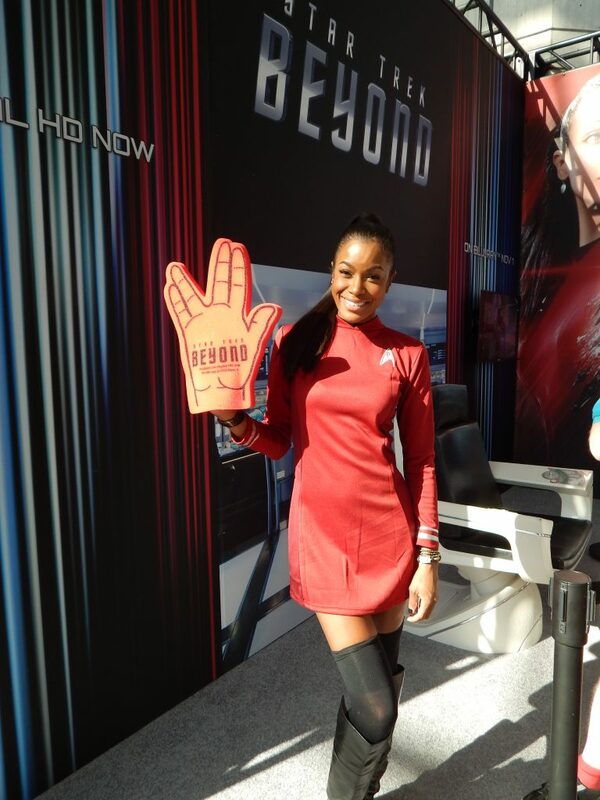 Plus, get a free, limited edition Federation pin and a foam finger featuring the Vulcan salute. 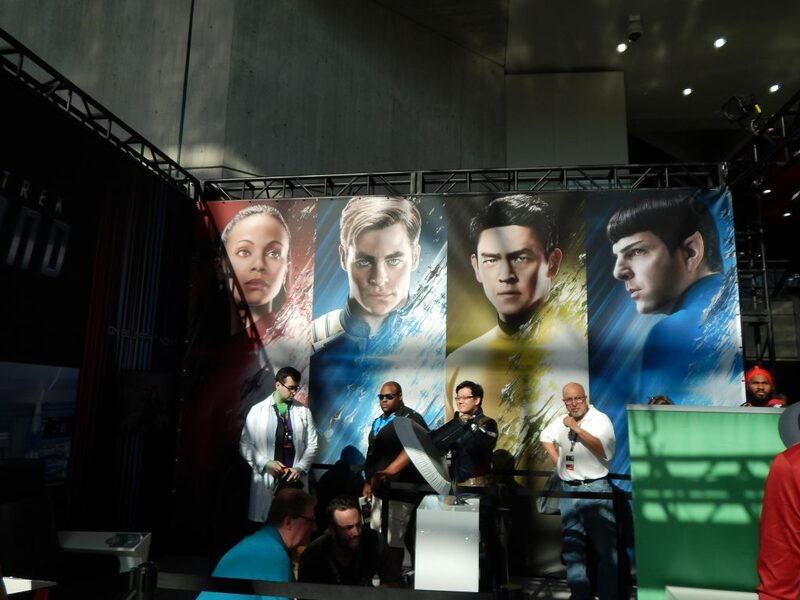 It’s proving to be an incredibly popular set up, so check it out–it’s worth the wait!